The Museum of Shadows studio engaged in an archaeological exploration of the city. The project centred around the reading of objects as symbols and creating constellations of meaning via their collection, interpretation, classification and containment. The project was sited within the abandoned Carlton United Brewery grounds at the northern end of Swanston Street. By engaging in a clear, singular line of investigation, we sought to uncover the layers of meaning and interpretation inherent in the now ruined site. From archival data we uncovered how the site had been codified, classified, measured, mapped and surveyed. This investigation sought to expose the past (what the site had been), the present (why the site is of its current stasis) and the future projections (various planned proposals for the site). 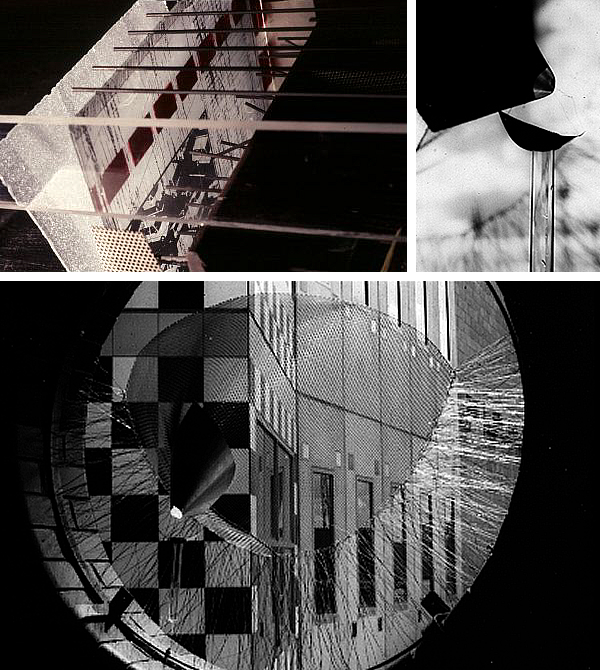 These perceivable 'trajectories of site' were manifest through techniques of collage, weave, overlay and superimposition to create a representation of the dynamic of history and the layering of time. With this detailed interpretation of the site, students acted as bricoleurs, scouring the ruins for clues of occupation. Knowledge of site history guided the choice of objects collected and exposed significant hidden meanings resting within these discarded items. The assemblage of the objects as collections and the compositional power of their grouping sought to contextualise the objects even further. The Woven Wall project combined these elements into a personal response to the site through proposals for the construction of a museum/observatory/monument. The project was not only concerned with a sense of static history, but included the sites' present phenomena and dynamism. We embarked on a careful monitoring of physical phenomena such as vistas and viewpoints, sun and moon orientations, sound mappings, and prevailing wind directions and speed. These observations led to the careful positioning of the Woven Wall and the development of devices to monitor and highlight this phenomena. The walls manifest themselves as intricate assemblages in which structure and collection, spatiality and phenonema, and object and meaning intertwined. The Woven Wall was to be a temporal spatial event, the wall was to exist in its physical context for one month. This time-span was considered one physical dimension of the design. The wall was considered a section of time; an event which unfolded and completed itself. The culmination of the proposal included the choreographing of a ritual gathering in which part or all of the structure was to be burnt. The destruction of the wall by fire was centred around the idea of transformation. 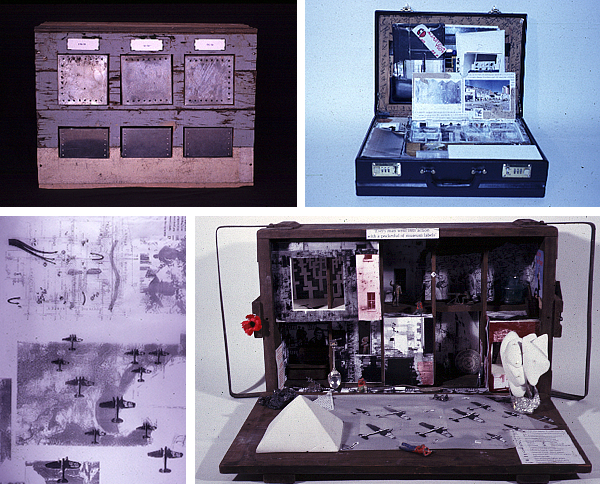 Along with the devices and collections, objects were designed that embodied individual responses to the site. These were positioned specifically within the Woven Wall so they would be altered, fused, fired, melted or cast by the fire. The fire destroyed all traces, purging the site of meaning. From the ashes the transformed objects were recovered to become the centre piece in the final project, the Memory Box. The Memory Box became the lasting icon of the studio, the embodiment of an interpretative reading of site, and the phoenix of new ideas.